More ways to buy tickets. Tickets are sold online, by telephone order and at the door. Online and phone orders are subject to a service fee. Our spring performance will feature orchestra pieces by American composers. 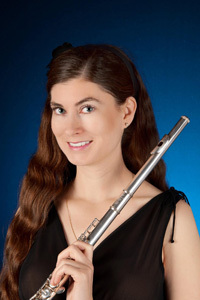 Laura Bolt is a freelance flautist who holds a B.Mus in flute performance (Queen’s University, Canada), an ARCT from the Royal Conservatory of Music, and an M.Phil in musicology (University of Cambridge, UK). A former flute section member of the Kingston Symphony Orchestra, Laura currently plays with Toronto-based orchestras and chamber groups. She performs regularly in recital and as a soloist with various ensembles, having been featured in works including Bach’s Brandenburg Concerto No.5 (La Folia Orchestra, London, ON), Telemann’s Concerto for Flute, Recorder and Strings TWV52 (Queen’s University Symphony Orchestra, Kingston, ON), and Vivaldi’s Concerto in G+ RV435 (Cellovision, Toronto, ON). She premiered Flute Sonata No.1 by British composer Nick Collins, and his Flute Sonata No.2 was subsequently written for and dedicated to her. Laura recently completed a PhD in biological anthropology and is currently a lecturer at the University of Toronto. 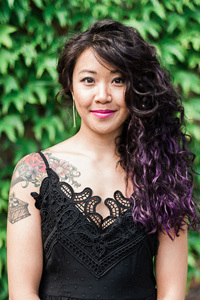 Kathleen Chang has been a student, a practitioner and a teacher of the arts for most of her life. She began her musical career at the young age of three, and since the age of 16, Kathleen has been teaching piano privately and in various schools in Toronto. Kathleen graduated with Honours from York University with a degree in Music Performance, specializing in Piano and French Horn in 2007. Kathleen had the opportunity to complete a one-year exchange program at the University of Leeds, UK where she continued her studies and toured parts of Europe with the university’s orchestra.